Please refer to the following Shipping method section. Domestic shipment in Japan is not available. You can select your preferred contents name and value on customs form when you send a last payment. We always mark as GIFT. We don't put any invoice. If you need it, please ask us before sending a last payment. Combined shipping is available for all our services. All your items will be packed by air babble and/or paper and put in outer box. Your selected shipping and combined method can not be changed in any reason after the status is set to "Packing". We can ship to any address. Your address, Your customers live in not your country and so on. We can hold your items up to 30 days in ourwarehouse. 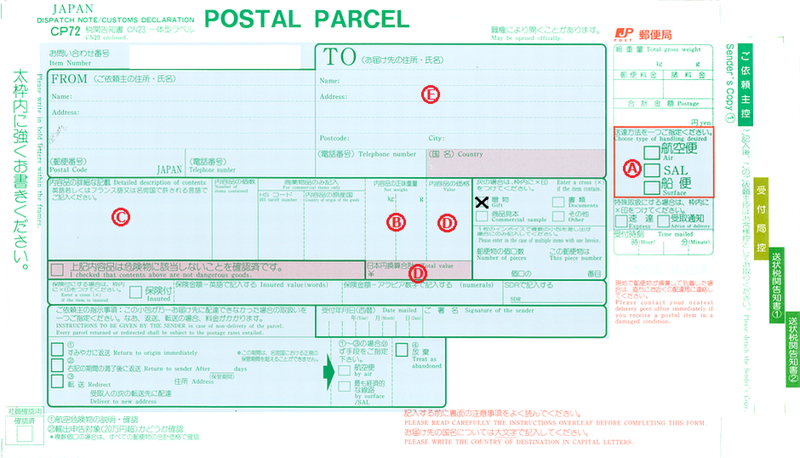 We support the following shipping method supported by Japan Post Office. The condition of the supported shipping method might depend on your country. Please ask us or refer to Japan Post Office. 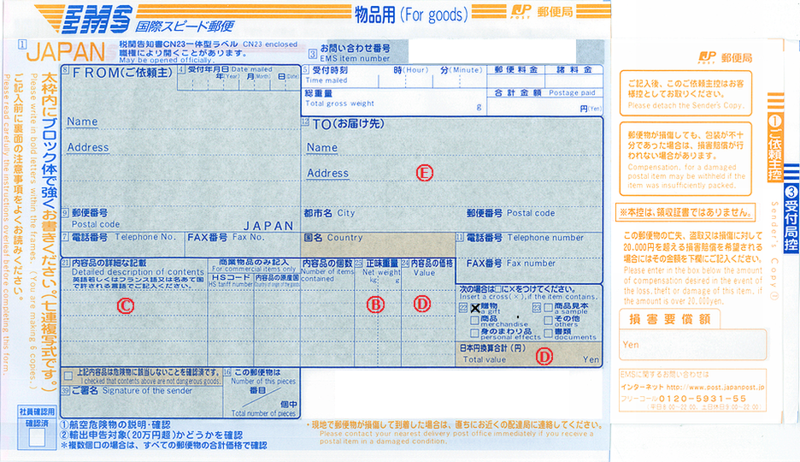 The parameters in this page will be used for the following customs form.